Originally planned as a farewell for a series that had seen lagging sales, Awakening throws in everything but the kitchen sink: dual-unit attacks, generations, super-hard modes, way-less-hard modes and a lot of other little ideas that had popped up in a game or two over the franchise’s history. The result is, well, a game that revitalized Fire Emblem, bounding it from the brink of ruin to the top tier of Nintendo properties. Oh, and the localization from 8-4 is just stellar. If you play just one game, make it this one; not only is it the best option, but it’ll also help you decide what you like and don’t, which will be very helpful in deciding which of it to go play more. If you’re interested in getting a sense of what the series has been for the past two and a half decades, your best option is the first English-language entry. Even though it sports none of the characters found in Super Smash Bros., it’s a well-regarded classic and a test of your tactical precision. Lyndis, Eliwood and Hector work together to unite their kingdoms against evil, and they do so with what may be the most strategically intriguing maps in the genre. It’s not too forgiving, but unlike the other classic entries, it at least does a good job of explaining itself in early missions. Ike’s Radiance games are large, exacting and frustrating in the way that will have you hammering on that reset button, but that’s a large part of their charm for many players. Being on a console allows them to adopt a scale that a handheld just can’t match, and also not worry so much about making you settle down for a while. The games aren’t cheap to find, but if you do manage both, start with this one (and play above Normal difficulty) so you can import your save file to the second entry. What Path of Radiance did, Radiant Dawn essentially just multiplied. The maps are larger. The story is sprawling and split in a satisfying way. Ike is even more of an unstoppable force, and it’s still okay because it doesn’t really help you keep everyone else alive any easier. This game really rewards multiple plays by letting you anticipate enemy moves and better compensate for them ahead of time, something that’s less effective in games with fewer personnel options. Conquest is no worse a game than Birthright, but it’s designed for those with a bit more of a familiarity with the series. Since you’re covertly operating from within a corrupt empire to right wrongs, your objectives are more complex. The Western-style character classes have some trickier abilities and require a little more thinking to use effectively. It’s an olive branch to fans of the earlier, harder games who didn’t so much like Awakening, but still manages to be a lot of fun for the more reasonable among us. It’s not the easiest thing to play one of the pre-localization releases, but if there’s one that’s worth it, it’s this one. It’s known for implementing the largest maps in series history, and for not just creating a new generation of fighters but seeing them through their own struggles as well. There are forts to defend, large fields to cross and all sorts of battle trickery. Even without the language barrier, it’s the trickiest release to decipher, but that can be cool in itself. Remember when I said Awakening was the result of low sales of the franchise? Well here’s how bad it got: its predecessor wasn’t even released in English. 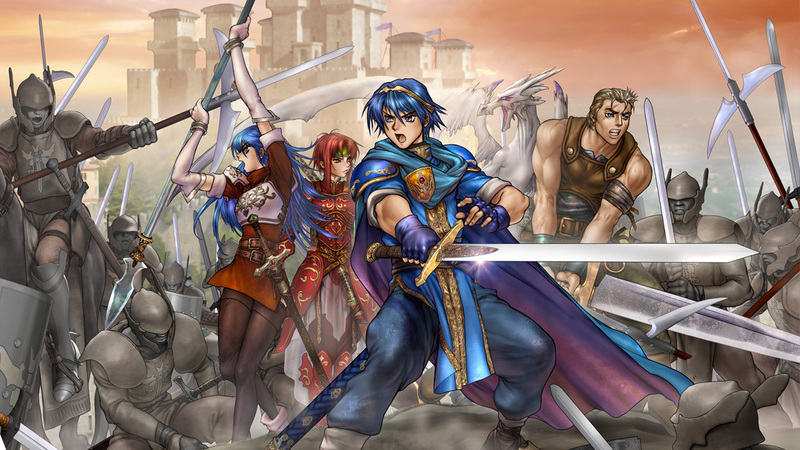 The sequel to Shadow Dragon, New Mystery of the Emblem remade the second half of Marth’s story and integrated a few other cool things along the way. It’s fun to go back to it after Awakening, though, and see the clear ties: you could grind for levels in a similar way, and you created and controlled a custom avatar in battles. A remake of Fire Emblem Gaiden, Shadows of Valentia experiments with base mechanics, building a traversable world rather than a linear series of strategy maps and throwing out series mainstays like the weapon triangle and class and equipment systems. It’s a faithful recreation of the NES original, including its quirks that made it have a reputation similar to Zelda II‘s polarizing one in the eyes of those who’ve played it. As fun as it is to play (and it is), it’s not particularly representative of the series as a whole. The second remake of Marth’s tale and his first appearance in English, Shadow Dragon has… problems. Most of them stem from the dated source material: the maps are bland, because they were an NES first-attempt, and the characters are flat, because there wasn’t much room for nuance and depth in a limited box of text. Still, though, it’s very much playable, and a good look into how much has been done since the first game to make things better. It’s not that The Sacred Stones is a bad game so much as that it doesn’t have a great selling point these days. At the time, it was created as an easy-to-play entry for those unfamiliar with the series, implementing a way to grind for experience and creating standalone characters for its tale. The 3DS entries are much more accessible and the characters less flat, but hey: Sacred Stones is still a good game, if lower on the priority list. It’s best played twice, seeing the story from both of the protagonist siblings’ perspectives. 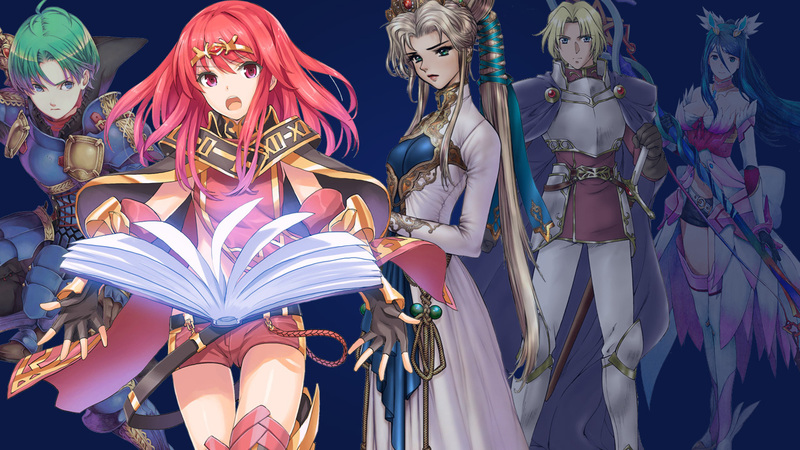 The third, download-only Fates campaign is built from the ground up for fanservice. It removes the shades of gray of the other two in favor of a “unite against a common enemy” approach, and manufactures situations to get the fighters from each side interacting in new and amusing ways. As such, you really shouldn’t play it until you’ve played both core adventures, and even then, it may be good to step away for a bit and let it serve as a lighthearted return trip. 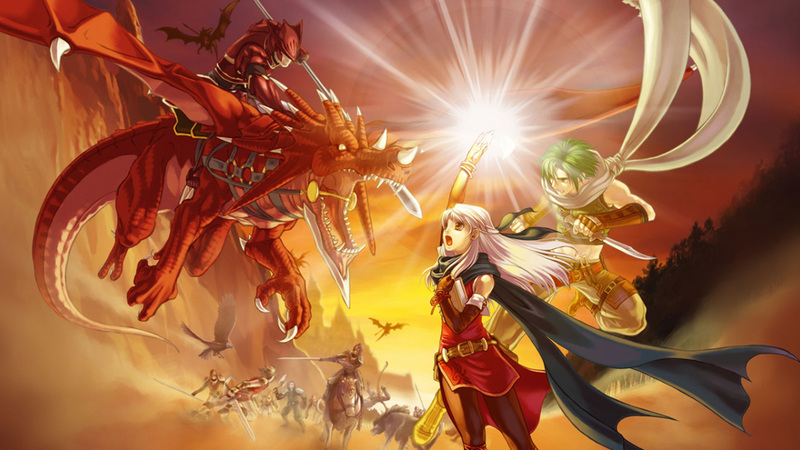 If you’re interested in the evolution of Fire Emblem‘s mechanics, Thracia 776 is a great one to study: it begins many of the changes that made the franchise accessible in the GBA years, while inhabiting the environments of Seisen no Keifu. Actually getting your hands on the game, though, is a bit messier: its super-late release meant it was mostly made for SF Memory rewritable cartridges, and even those can be pricy. “But Roy?,” you say. “Where is Roy?” Here. Here is Roy. 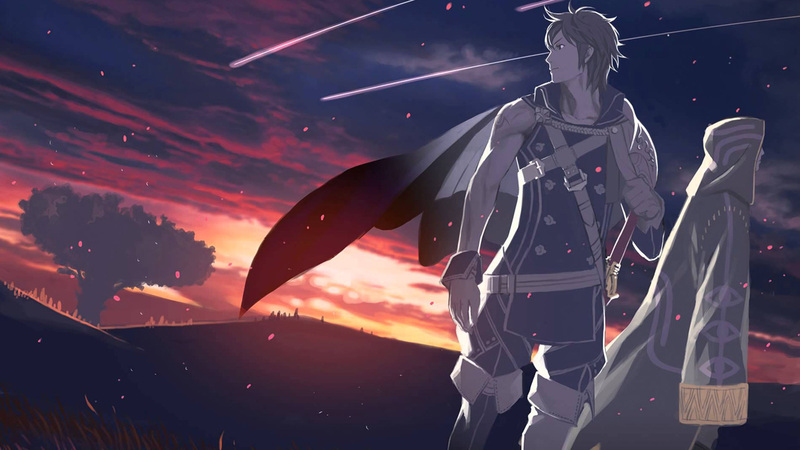 The one who many Smash Bros. players consider to be their boy leads armies in the first portable installment of the series, and it’s… well, a lot like its follow-up: the prequel that would be known simply as Fire Emblem in the West. With near-identical maps and mechanics, this one’s easy enough to play even without a localization. These first three games were strong for their time, but all have seen remakes that only improve upon the experience. If you want to see the humble origins of the franchise, go ahead, but you’re not missing anything. Looking for the most obscure entry in the series? Look no longer! Akaneia Saga was a series of maps broadcast through Nintendo’s broadcast service, with voiced conversations and a weird transfer system. These skirmishes do live on in one form: as extra maps in New Mystery of the Emblem. 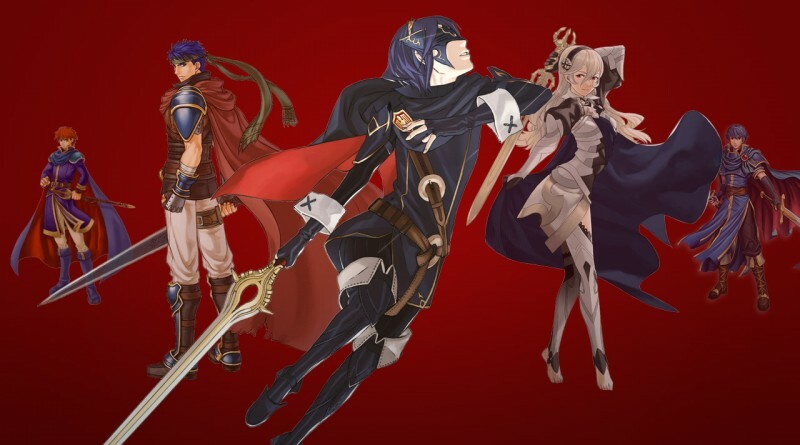 Some tweaks had to be made to adapt them to a non-broadcast format and those voices are long gone, but still: Fire Emblem‘s about the maps, anyway. This project, a collaboration between the Shin Megami Tensei and Fire Emblem franchises, is… well, it’s not a Fire Emblem game, really. It’s a bright, fun JRPG for fans of games like Persona and there are a few references you’ll enjoy if you’re a Fire Emblem fan, but its gameplay connections to the series are minimal. You’ve… probably played this one, huh? This free-to-play entry does a surprisingly good job at feeling at least a little like Fire Emblem, with similar movement, tactics and presentation. Still, with the smaller maps, limited ambition and ever-present business model, Heroes is an apple in this list of oranges and we just can’t compare. If you want to know more about it, though, we have a guide for that too. Like Hyrule Warriors before it, this is a Musou game built within the world of the series. Expect to see some familiar faces, but this… just isn’t the same sort of thing. And as you can see, franchise popularity means we’re seeing a lot more of these spinoff projects. What’s next? Fire Emblem Puzzle League? We would play Fire Emblem Puzzle League. Longtime Fire Emblem creator Shouzou Kaga left and started his own team with publisher Enterbrain and made two very similar strategy titles for PlayStation systems. The first, Tear Ring Saga, is basically a carbon copy, while Berwick Saga incorporates a hexagonal grid and a few new ideas. Still, if you like the older titles more than the new ones, these are games you should play. What’s your favorite Fire Emblem game? Let us know in the comments or on Twitter! And check out more of our helpful guides.